Polyphony Digital's Gran Turismo 6 players will have the pleasure to discover new free Ayrton Senna related content throughout the month of May. A first glimpse of the long awaited content was unveiled today part the Brazilian legend's memorial day. A trailer called "Ayrton's wish" was released and a new dedicated site was launched. 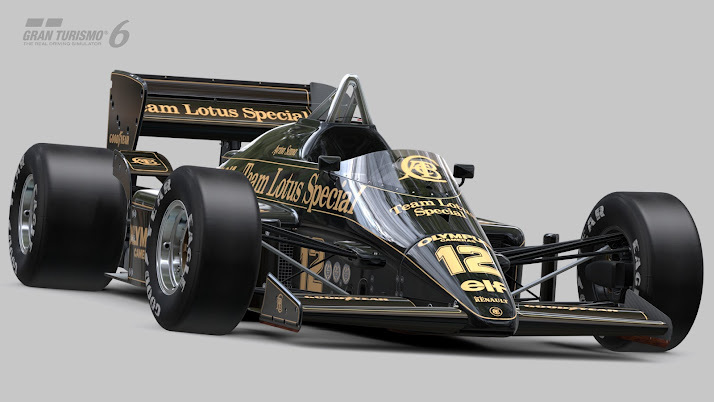 The first beautiful surprise is that fans will be able to take the wheel of Ayrton's Lotus 97T wearing its iconic black and gold livery. This addition is very important in the history of the game because it marks the first time ever that a modern Formula 1 car other than a Ferrari is included in the game. The question is, are Senna's cars from McLaren and Williams going to be included in the game as well? If so, this could mean a lot for the future of the franchise. Let's wait and see.